Foreword by Joel Kahn M.D. Secrets of a Kosher Girl integrates the ancient principles of a kosher diet and lifestyle with proven weight-loss strategies emphasizing whole foods, or "clean eating." This easy-to-follow 21-day diet and exercise plan results in an average loss of 6 to 11 pounds and improvements in mood, muscle mass, and energy, along with cholesterol and blood sugar levels. Beth lost weight on her proven program and shows how you can too. First, you’ll discover how to prepare your mind, body, and pantry to follow the diet successfully, and how it’s important to have the strong discipline and intuitive eating techniques inherent in a kosher diet to condition your mind. Next, Beth explains how physical activity is not only important to health and weight loss, but how this concept has been around since biblical times. Last, Beth provides everything you need to start the program: 21 days of meal plans, recipes, and daily fitness goals, with motivational biblical quotes to inspire you along the way. Lose weight the kosher way! 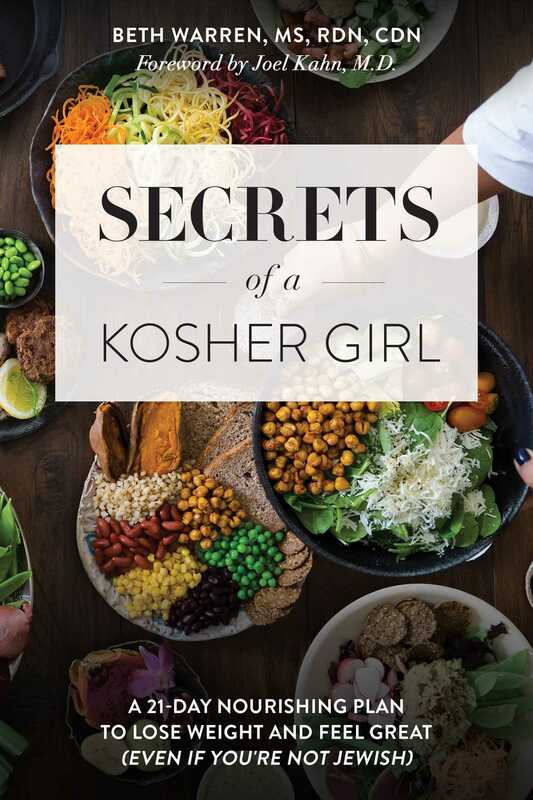 "Secrets of a Kosher Girl brings the kosher diet into modern day practice by using its guidelines, food choices and eating behaviors to mold it into a successful health plan." "Beth Warren has been changing people's lives for nearly a decade through her nutrition practice, Secrets of a Kosher Girl will surely change your life, as well. It offers step-by-step recipes and enlightened tips to keep you on the path towards a healthy and balanced life." "Along with their efforts to probe for our place and purpose, religions confer rhythms, rituals, and rules for living. Dietary rituals and rules often derive from insights about health, and lend the benefit of discipline. In this welcome and thoughtful book, Beth Warren combines the time-honored value of Kosher dietary discipline with a keen understanding of modern nutrition to craft a unique and empowering recipe." "Beth has taught me so much about mindful eating and taking care of myself through good dietary habits. Her second book has taken healthy eating to the next level with passion and excitement. Beth knows food and in this book, she shares her approach with her readers in a fun and engaging manner."